As we quickly approach the start of a beautiful holiday season, I thought I’d share a quick project for those of you who are looking to dress up your table-scape this Thanksgiving (or Christmas). 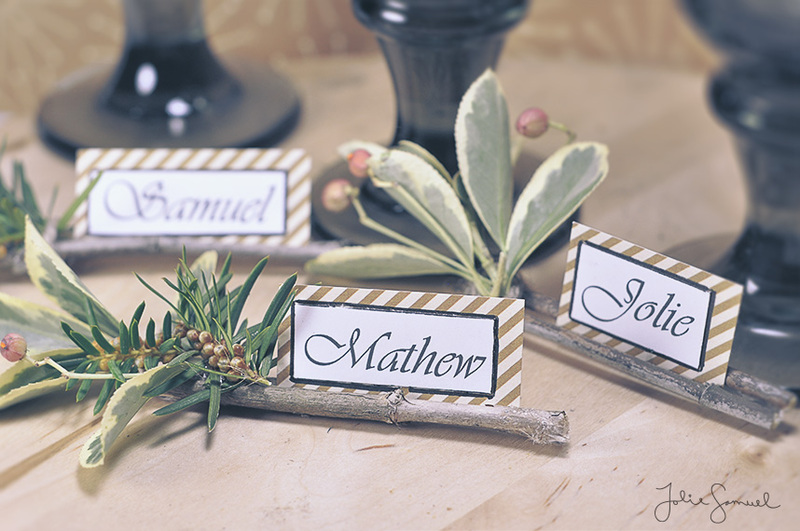 This is a quick and easy idea for those work/dinner/church/just-for-fun type parties coming up this winter. 2.) 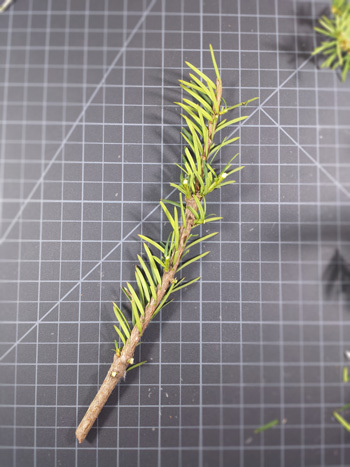 Trim down your branches and foliage to the size you desire. 3.) 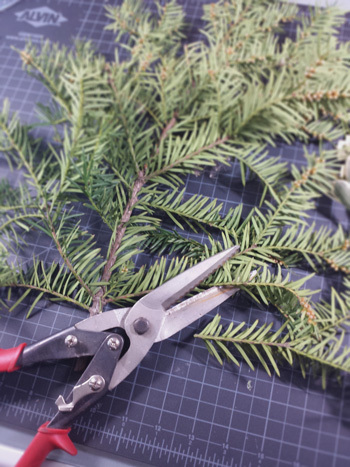 Trim off all those little needles to reveal just a branch. 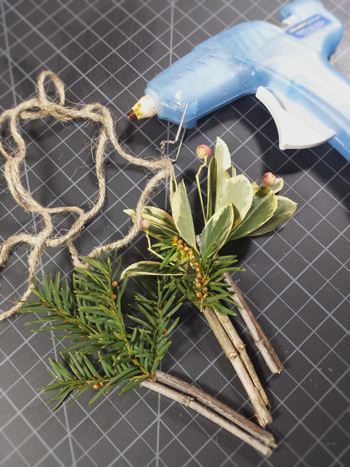 I used branches from pine bushes but if you have a bare tree, those branches work just as well. 4.) 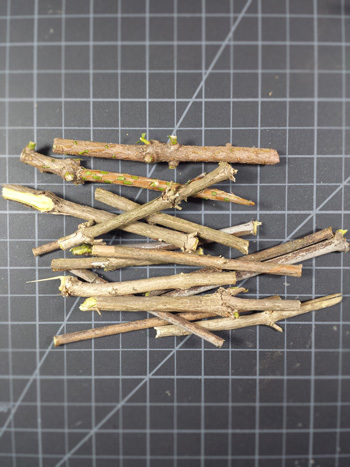 Trim down the branches to your 3″ – 4″ lengths. 5.) “Sandwich” 2 sticks together and adhere with a dot of hot glue on both ends. 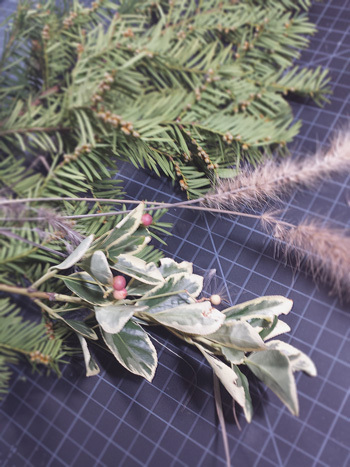 Add in a small bit of foliage to one side and again adhere with a dot of glue. You can also tie it all in with using twine. *** Note, I’m not sure how long these will sit considering they are made of natural elements. Mine were created over 24 hours ago, and are still in perfect condition. 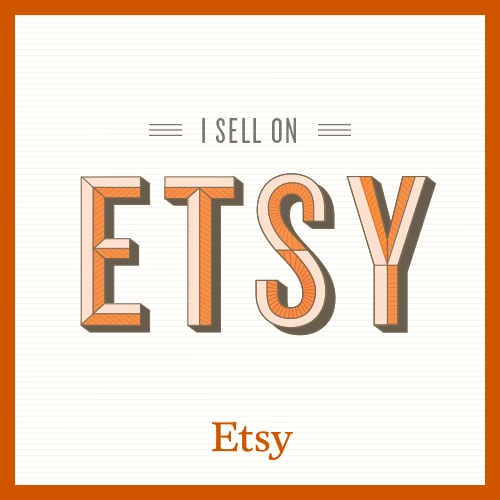 Hope you give this project a try! Happy Thanksgiving! Welcome to Day 2 of my Holiday Cards 2014 series! Today’s card features the use of my Silhouette SD (cutting machine). I contemplated using several different types of Christmas tree-shapes, but ended up using something a little more ‘outside-the-box’. I created a simple rectangular layout and then added in a small insert for a multi-layered look. These cards a super quick and easy to mass produce. The nice thing about this card is that it can technically be made with an craft knife as well (a little more sensible for my readers who don’t own cutting machines). Here’s a quick how-to video to show you the assembly process. I love the simplicity of this card and it came together rather quickly. Very chic! Hope you enjoyed and I’ll catch you next time for Day 3! How’s everyone coping with the fact that winter is here?! I’m pretty excited because this season brings about my favorite time of year! To help you get int he spirit of the holiday season and for some I’m happy to bring you a 20-day card series. 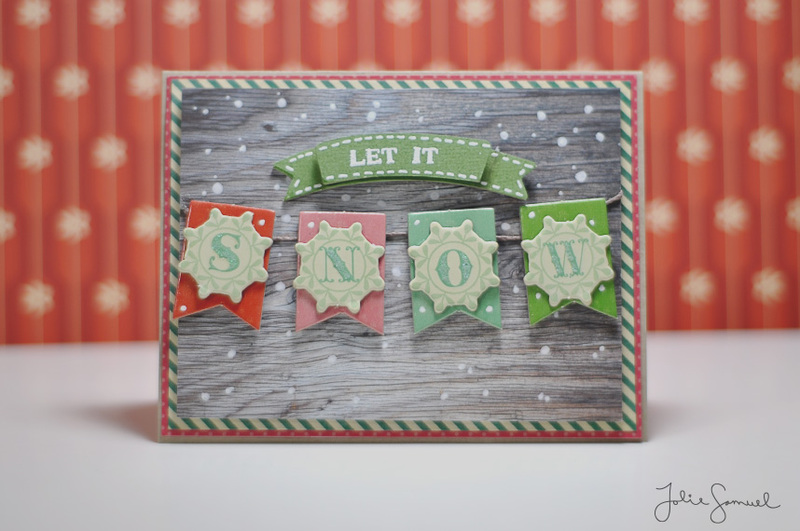 That’s right, today marks the start of a fun new series in Holiday Crafts! For today’s project I used some coordinating holiday papers and die-cuts from Pink Paislee and Crate Paper. I love the way this card looks almost vintage. 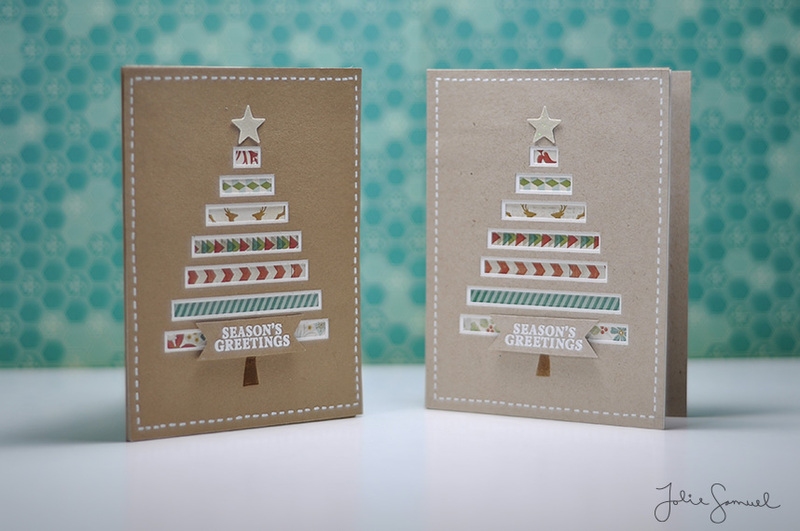 To watch the card-making process, check out this quick how-to video.